No kidding! Although colour documents offers lots of aesthetic benefits and conveys meaning better than mono printing, there is a significant premium to pay because colour printing costs a lot. A firm specialising in independent reviews of printers Printer.com, recently completed its 2008 study of consumer and small to medium-sized business printers sold in the United States and concluded that it costs approximately three times as much to print in colour. They went on to also indicate that contrary to popular understanding in the industry, larger colour printer machines used in medium sized businesses can cost up to five times as much as convention black and white printers. Its always be known by those in the industry that colour printing costs more, but this study has documented quite clearly that such costs are way beyond what was thought. So what can we do about this i hear your asking, we all need to print in colour these days. Well given the major savings to be had now that we know it costs 3 times more, there must be some opportunities to make some significant savings. How about this, next time your viewing a colour filled document online or on the PC and you need to print it, have a closer look at its pertinent parts, you maybe able to print the majority of the document in black and white and keep the colour printing for only the most important parts like the cover and detailed illustrations. Also try switching the printer settings over to draft mode and then do a print preview to see what the image quality is like. If the quality is acceptable or just for internal use, printing in draft will likely get that 300% premium down to 150%. Have a go, your boss, accountant and environment will be grateful. 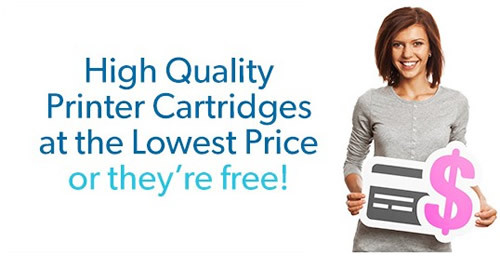 Want the cheapest colour ink and toner cartridges? Please check out our web store for the lowest prices on printer cartridges in Australia – Guaranteed!